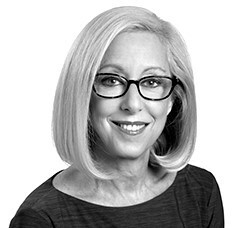 Our mentor, colleague, and treasured friend Nancy Fax, who served for many years as our firm’s Managing Partner, died on June 4, 2018, after a brief struggle with pancreatic cancer. Nancy was a recognized expert in the field of estates and trusts law and served her community generously, serving on several nonprofit boards over the years. While Nancy is irreplaceable, we are committed to ensuring that her clients continue to receive the exceptional service for which Nancy was known. Please contact us at our main number or info@pasternakfidis.com to learn more about finding an attorney to update your estate plan. “Qualified Personal Residence Trusts,” District of Columbia Bar, Section of Taxation, Washington, D.C. The American Taxpayer Relief Act of 2012 (the “Act”), which includes a variety of changes to the Internal Revenue Code, will affect most American taxpayers. In this article, we will address the key estate tax, gift tax and generation-skipping transfer (GST) tax elements of the legislation.